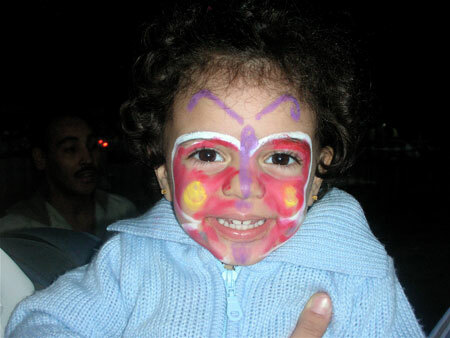 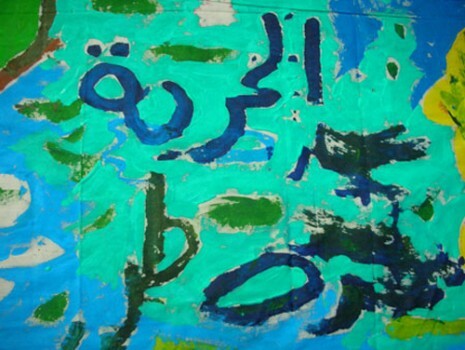 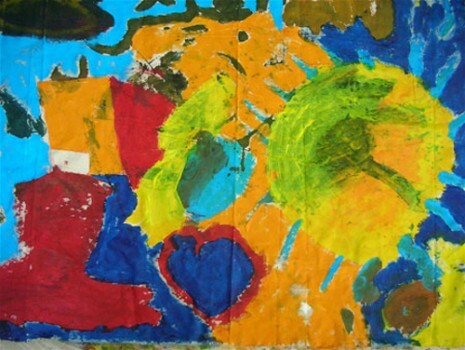 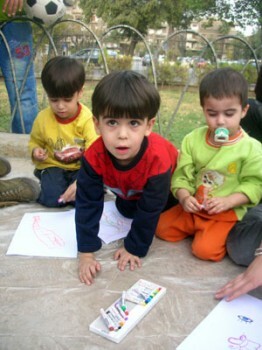 In the fall of 2007, Barefoot Artists began working with Iraqi refugees. 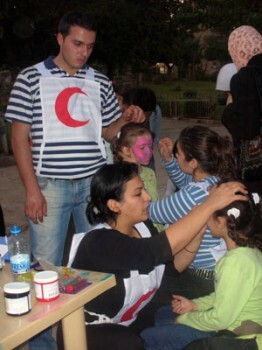 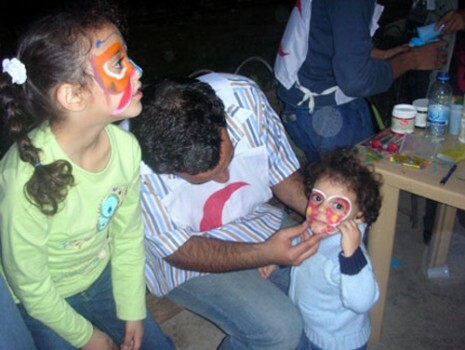 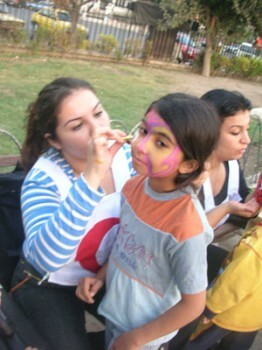 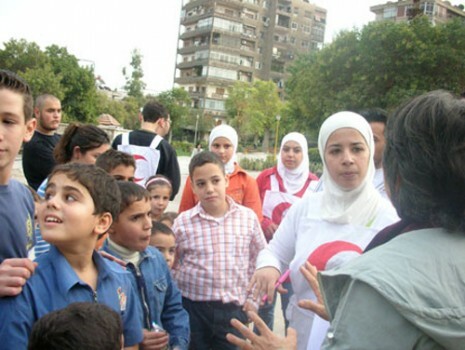 Collaborating with Red Crescent, it launched an art event at Al Tijari Park in Damascus, Syria. 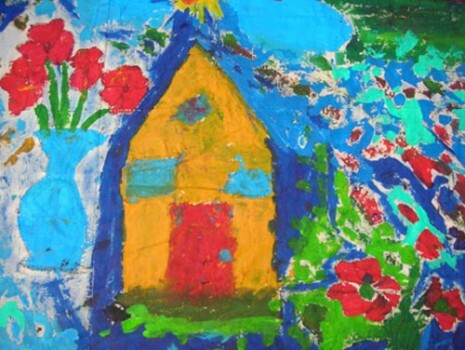 During our visit, we engaged twenty-five children in drawing and painting activities, collected stories of their hopes and aspirations, and together created a colorful painting using their drawings. 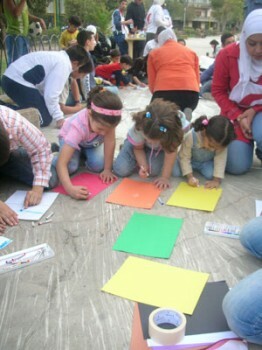 Working with our partners in Syria, we hope to return in the near future to continue the project. 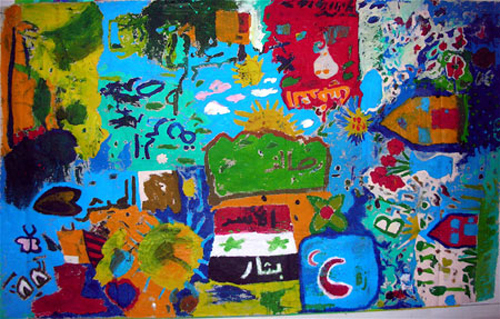 We intend to collect people’s stories through art and interviews in order to share them with an American audience to promote mutual understanding and peace in the Middle East and America. 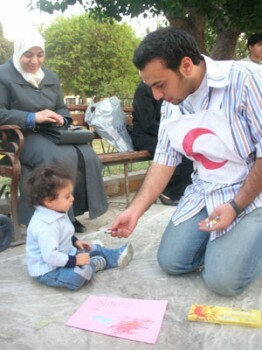 We feel deeply grateful to Noor Sheik Ogly, a Red Crescent volunteer. 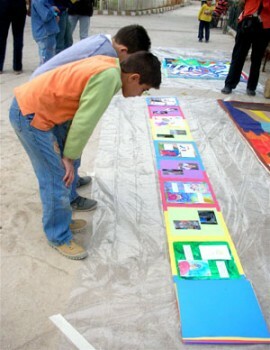 Her leadership and dedication made the Al Tijari Park art project possible.